Hi there! 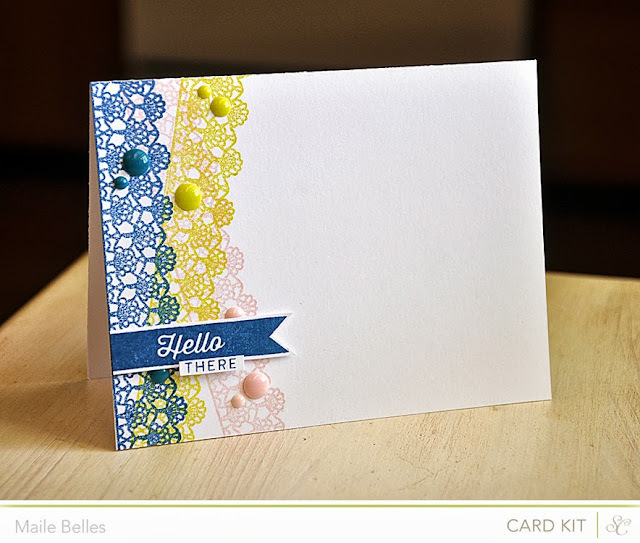 This months Studio Calico kits and stamp sets are great! And so... I've got a lot to share with you. Today I bring you my cards from the Double Scoop kit release. I've put to use the Card Kit as well as the Bubble Gum, Cotton Candy Stamp and Waffle Cone add-ons. A little bit of stamped lace takes this card from plain to simply stunning. 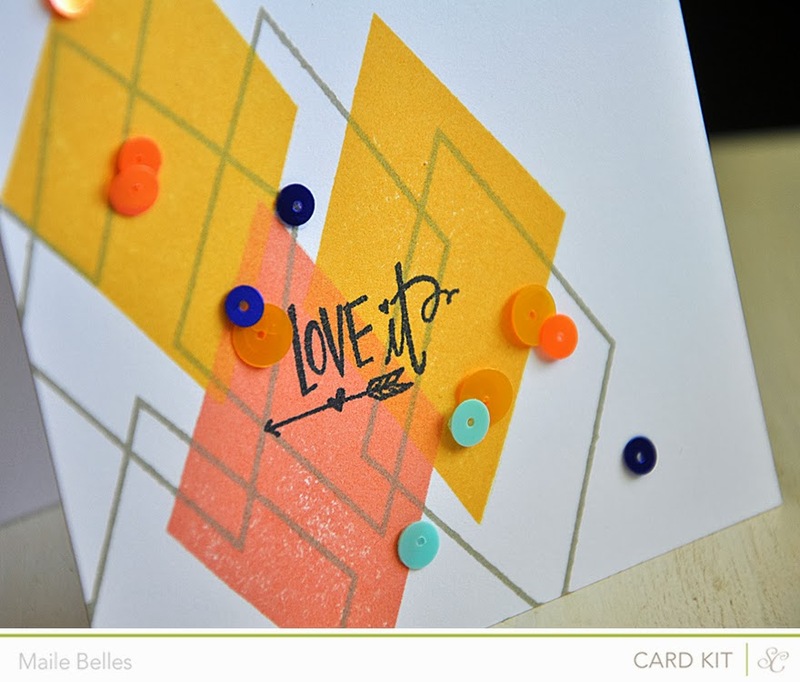 I just love the stamp set included in the Double Scoop card kit! 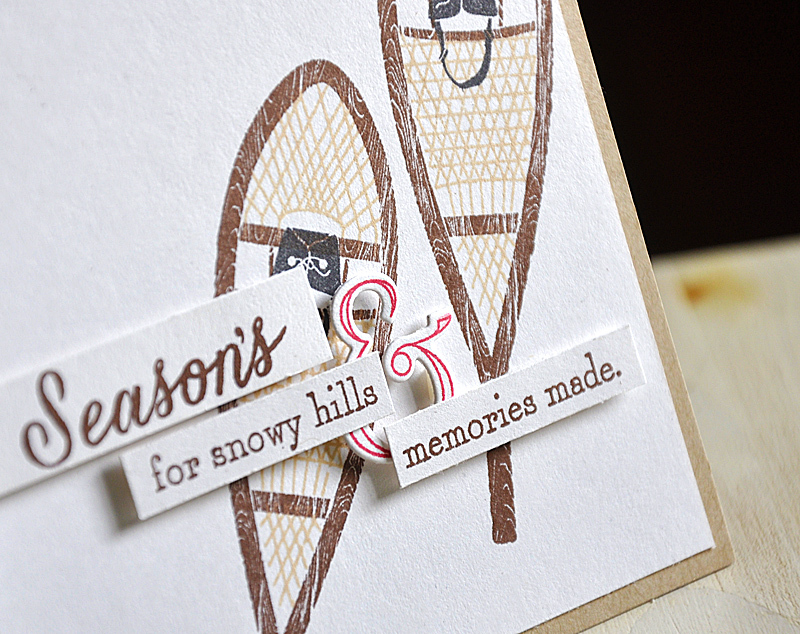 The stamp set included in the Double Scoop card kit has quickly become a fav of mine! 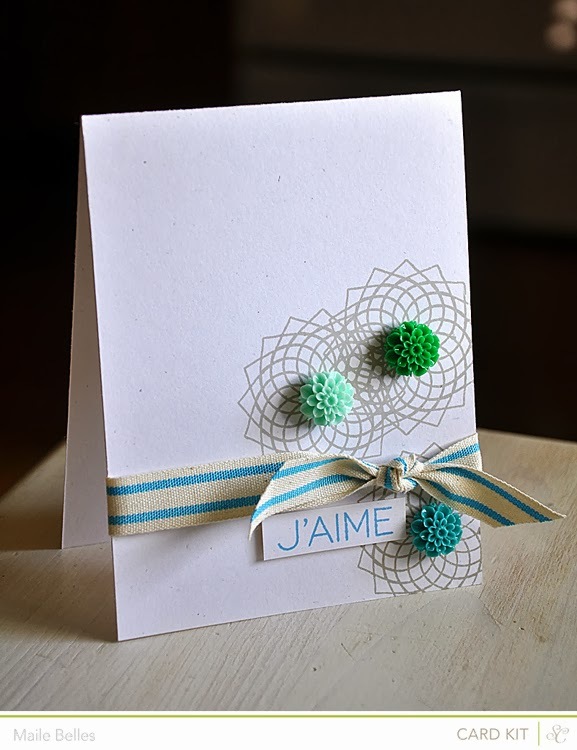 This trio of stamped geometric shapes are softened a bit with a few colorful resin flowers. 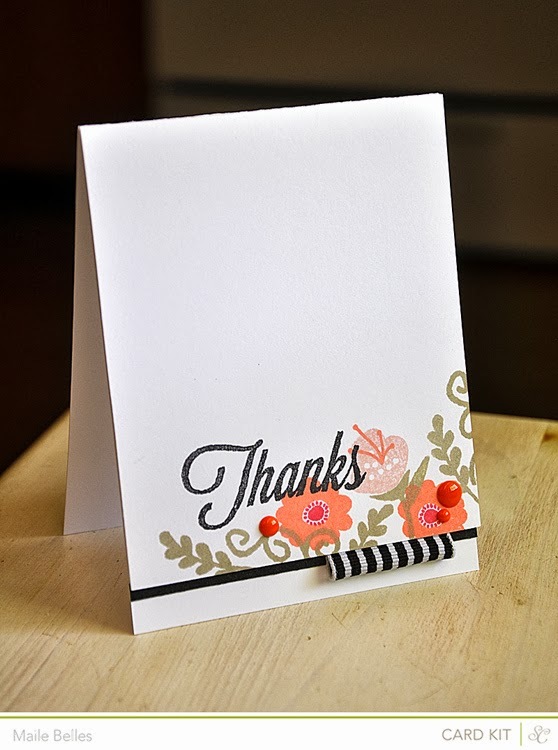 This simple card is the perfect way to express your gratitude. 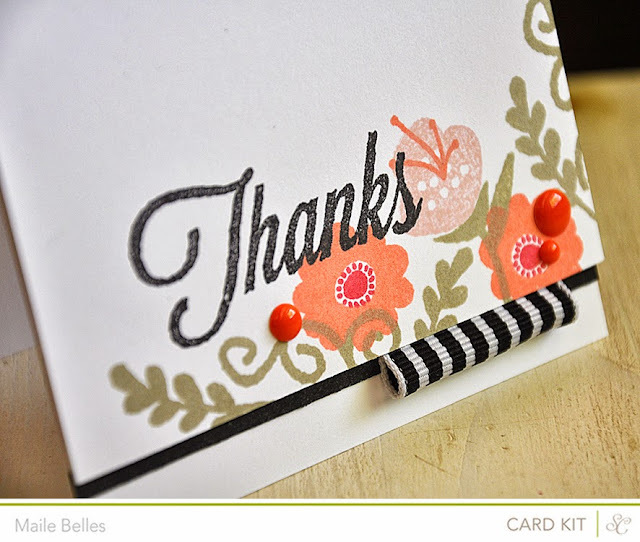 A floral stamped corner with a few simple embellishments is all you need to quickly whip up a pretty project. This simple geometric ultra modern card makes my little heart happy. Stamps are from the Cotton Candy stamp add on and sequins from Waffle Cone add on. Stained Glass by Lexi Daly, plus coordinating dies. Here's a peek at what's underneath the finished cross, I used this as a guide for the scored lines. 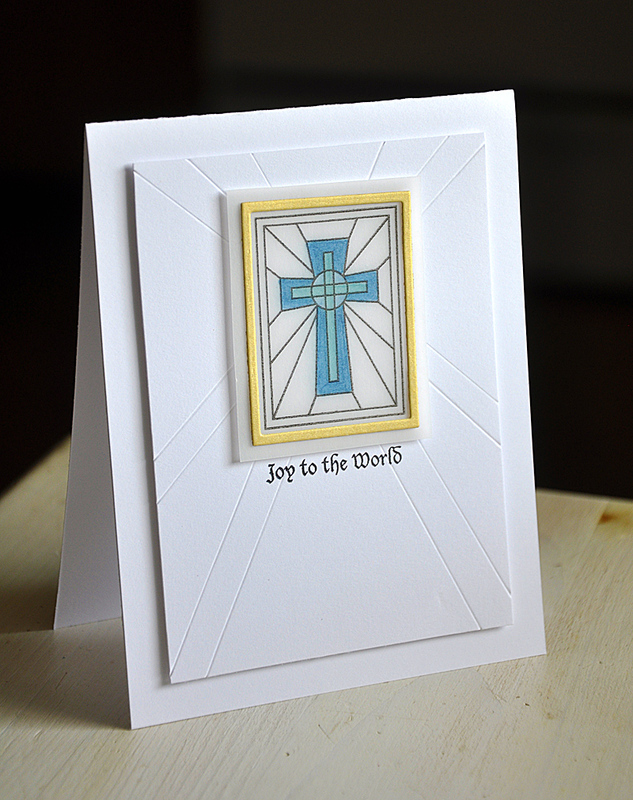 A pretty vellum and gold window, the Copic coloring was done on the backside of the cross. Kid Kudos & Additions by Erin Lincoln. I combined this set with the Lunchbox Note die. Polka Dot Parade #8 by Melissa Bickford. 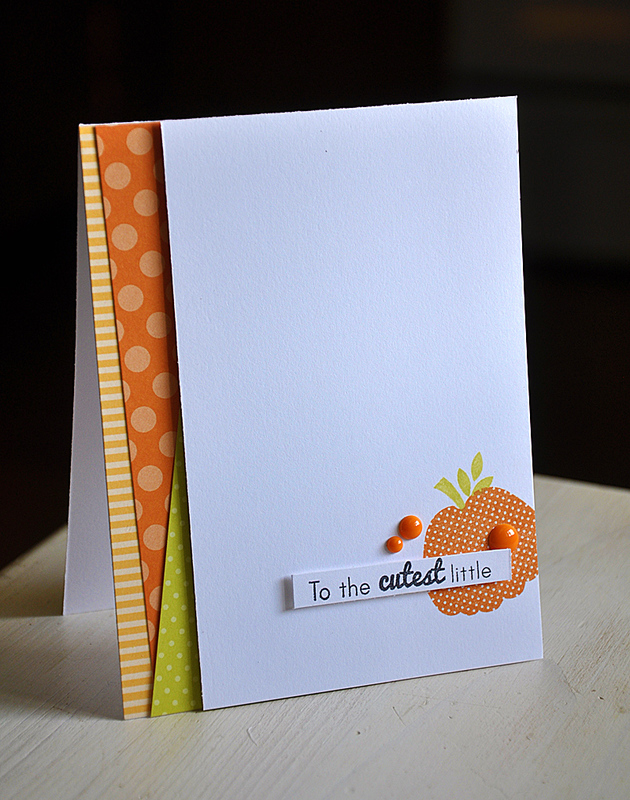 Created a funky edge using three fall colored pattern papers. Finished the card off with a sentiment and enamel dots. 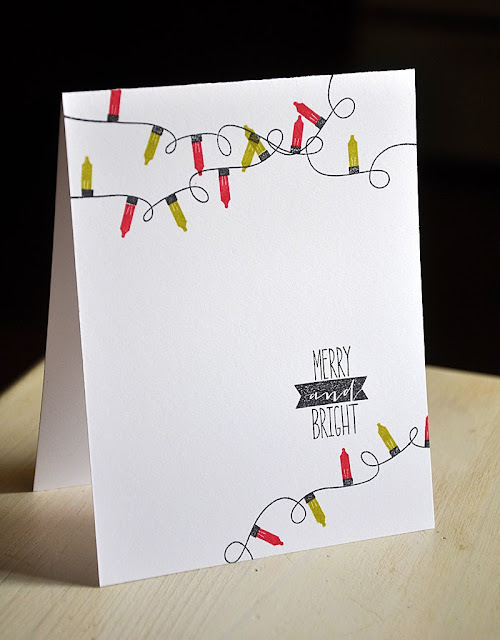 Boutique Borders: Christmas by Dawn McVey. 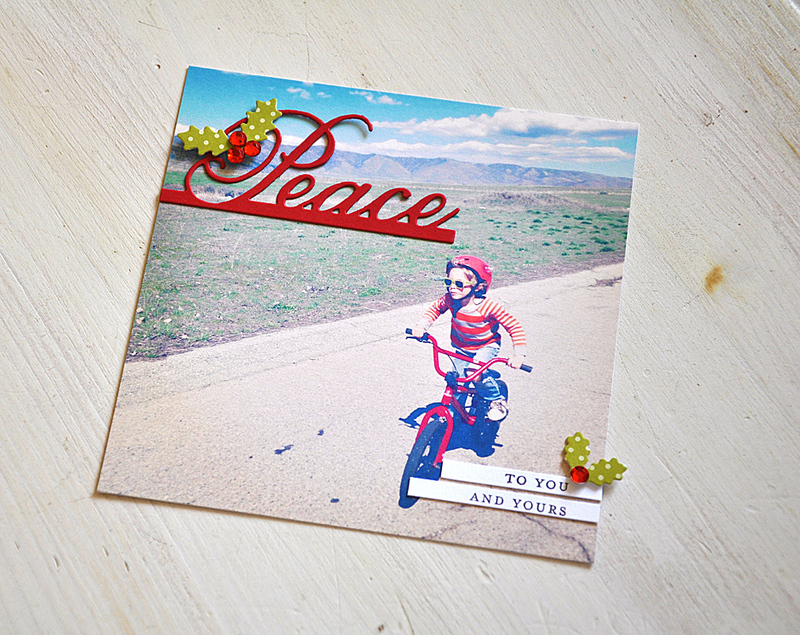 I combined this pretty frame with a sentiment from the Instant Photo: Holidays set. 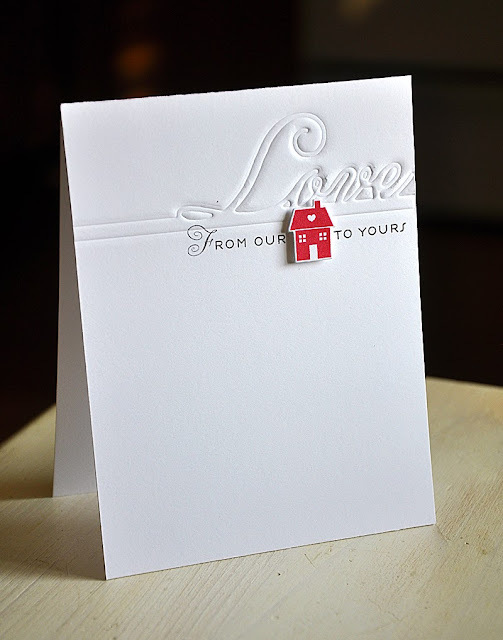 Holiday Home by Melissa Bickford. This set was used in conjunction with the One Liner "Love" die, which I impressed into the card (using the impression plate sandwich for my Cuttlebug). The bottom portion was impressed using the new Stitching Impression Plate. 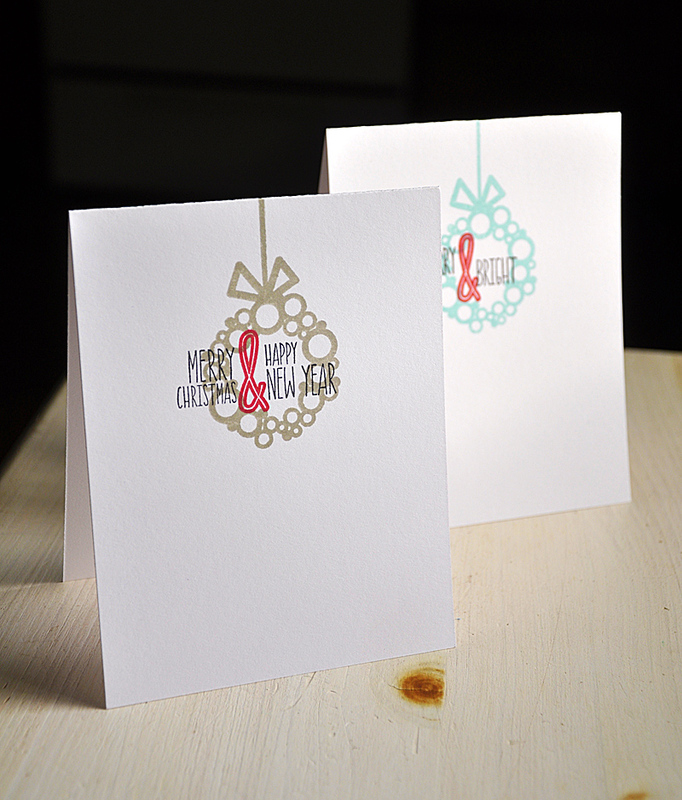 Welcome to the final day of the Papertrey Ink September countdown and the second design team group post day. 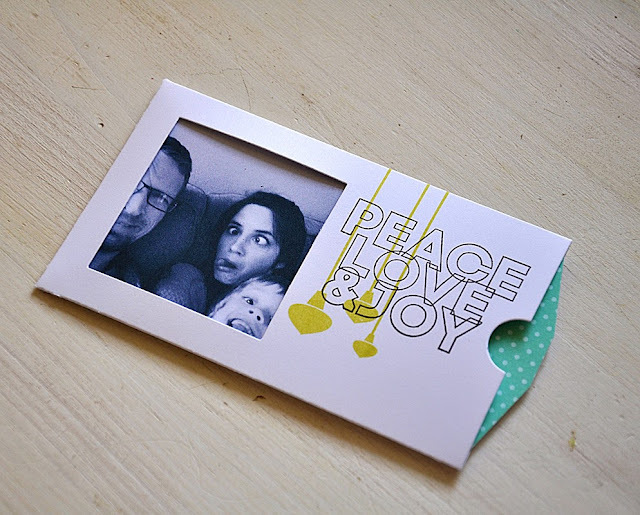 Today's group post is all about the new Instant Photo products. Christmas cards will never be the same! 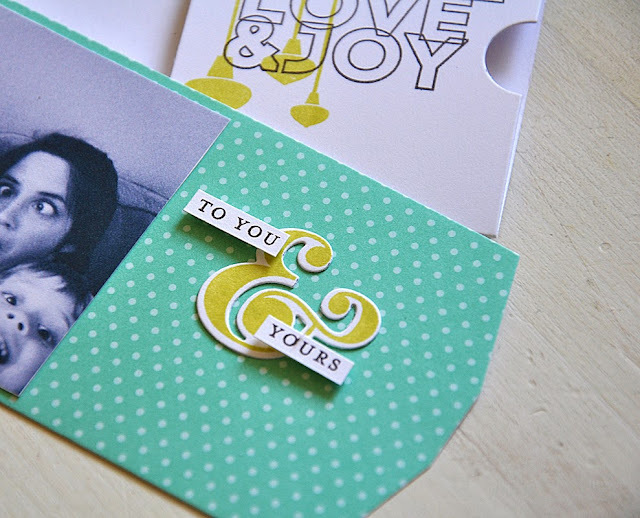 This stamp and die collection turns photos into personalized treasures. I love how easy it was to whip these two projects up! 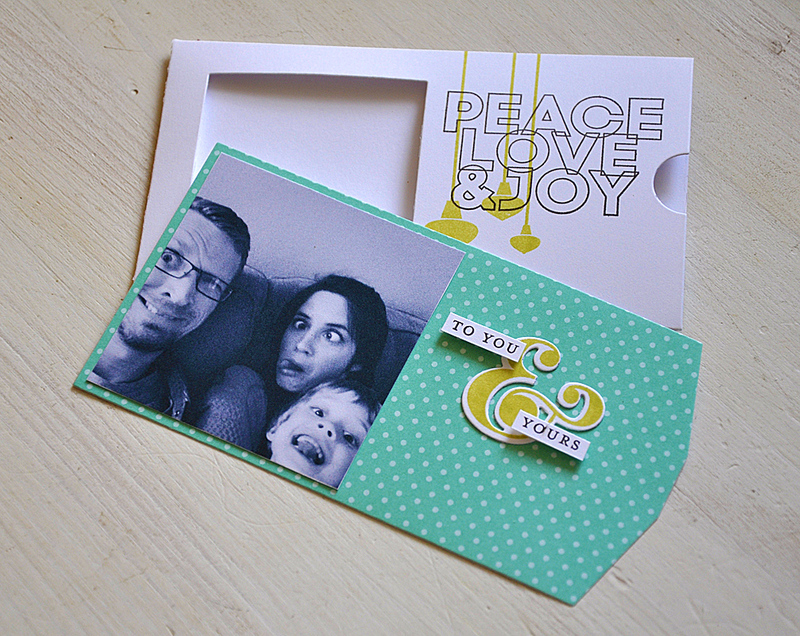 First up the pocket card, created using the Instant Photo Pull dies. 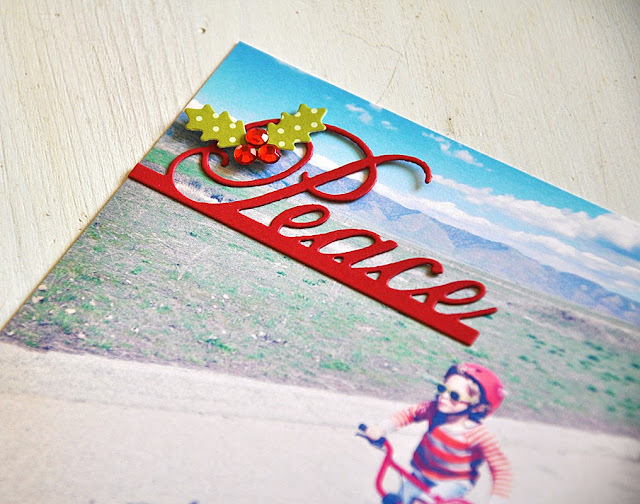 The photos I've chose for today's post are not your typical Christmas card type, I was having a little fun when creating these cards. I went clean, simple and modern with this one. Just the way I like them. I'm seriously considering this design for the year 2013. 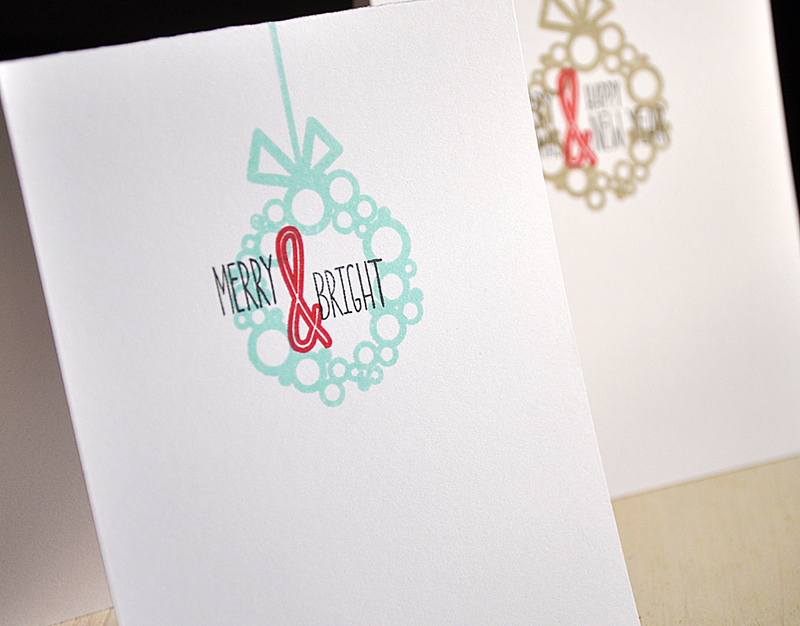 I first stamped the sentiment (from Instant Photo: Holiday) and then layered the hanging ornaments (from Holiday Cheer). 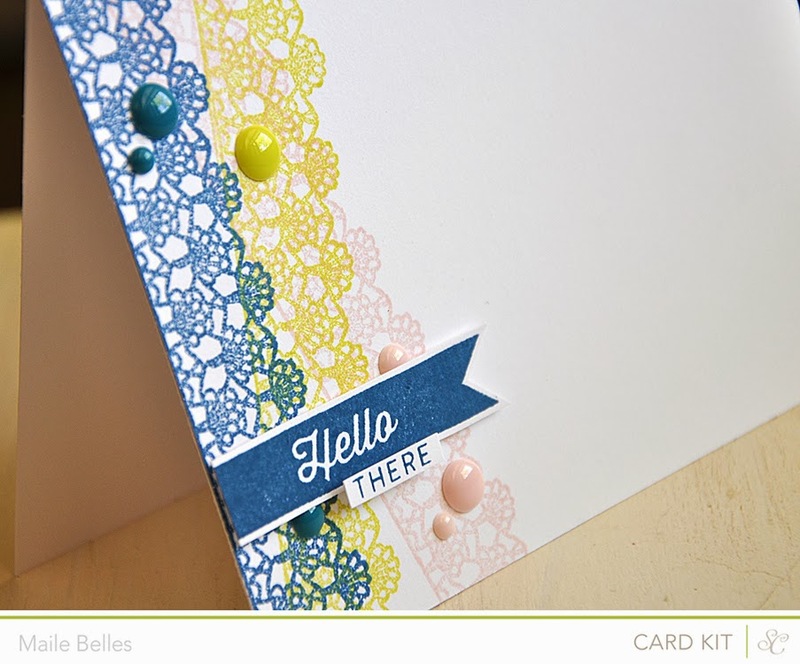 I love how the insert adds a nice pop of color, completing the limeade ice, aqua mist and smokey shadow color combo. 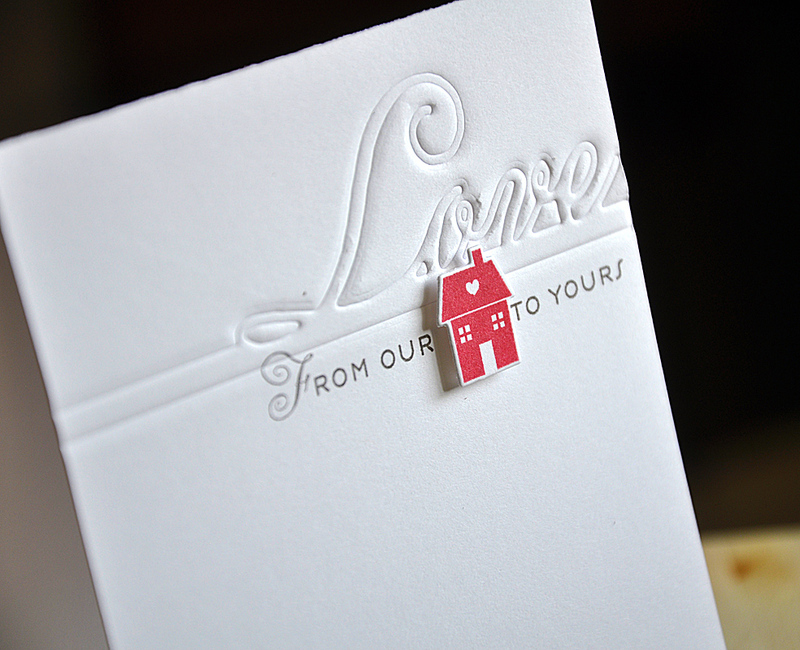 The insert was die cut from aqua mist pattern paper, a nice contrast from the white pocket. 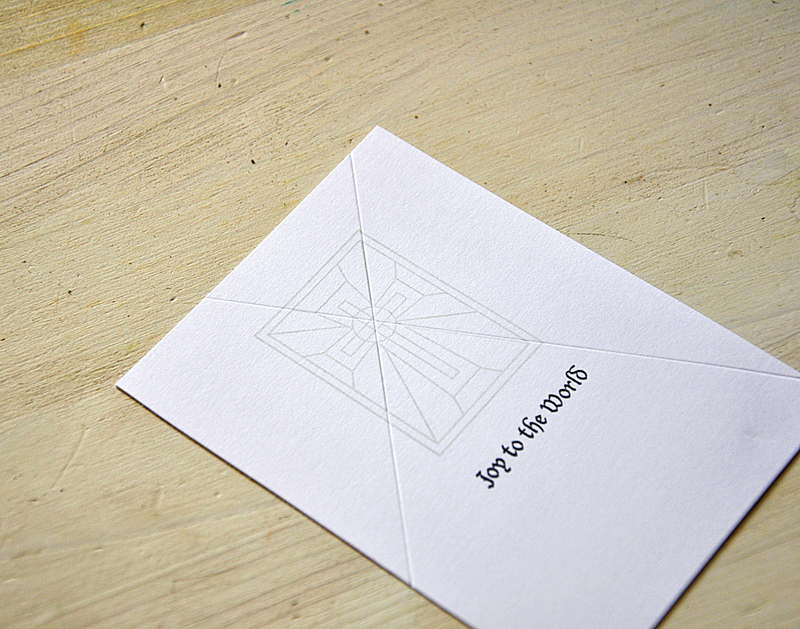 "To You and Yours" completes the inside. I created the phrase using a sentiment from the Instant Photo: Holiday set and replaced the "and" with an ampersand from the Grand Ampersand set. 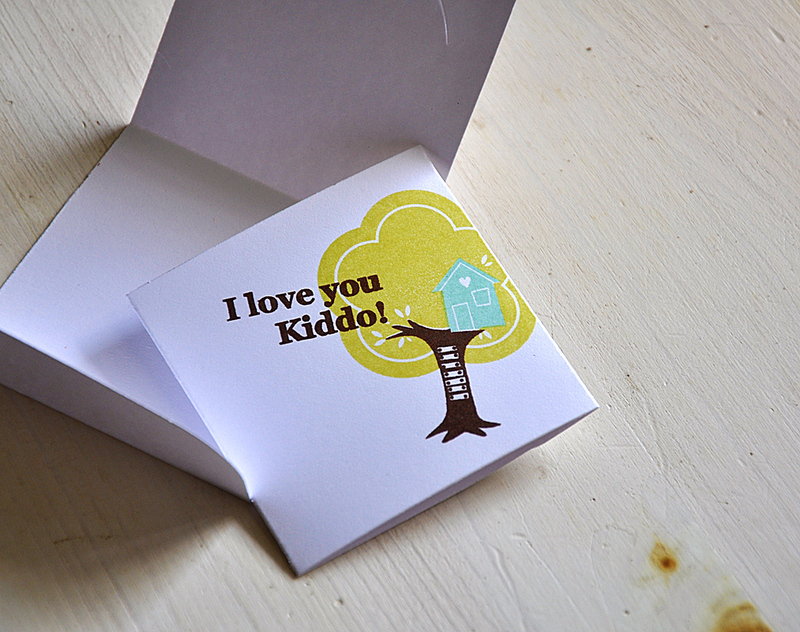 Here's a simple photo card, created using the One Liner dies. To switch things up I chose to work with a 5" square photo. 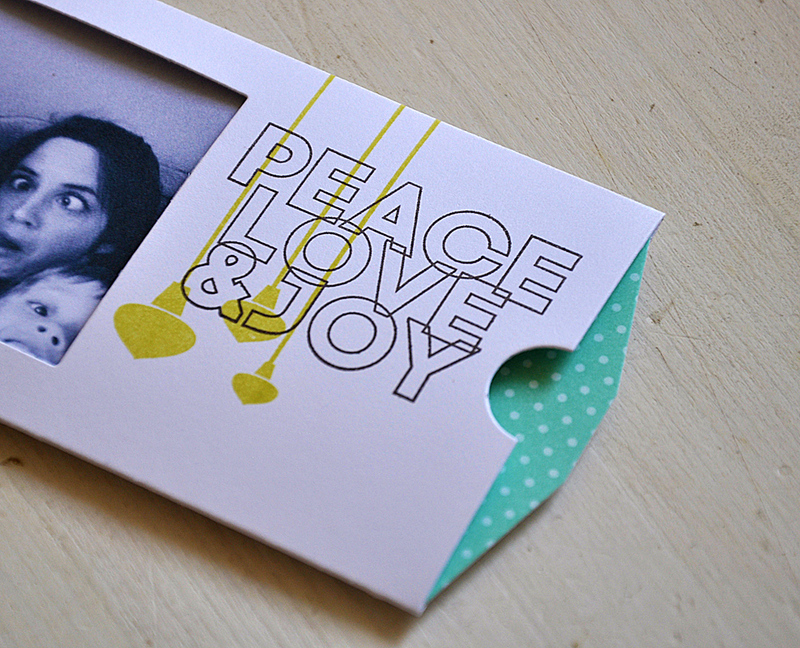 Instead of extending the die cut across the entire bottom edge of the card I opted to utilized just the "Peace" portion. I balanced out the "Peace" by finishing the sentiment in the opposite corner using two small strips. Finished the card off with a couple rhinestone holly berries and pattern paper leaves (using the Holly Jolly dies). Well, that's all I've got for you today. Just remember... Instant Photo products, Holiday Cheer and Grand Ampersand will be available for purchase through Papertrey Ink, beginning September 15th. 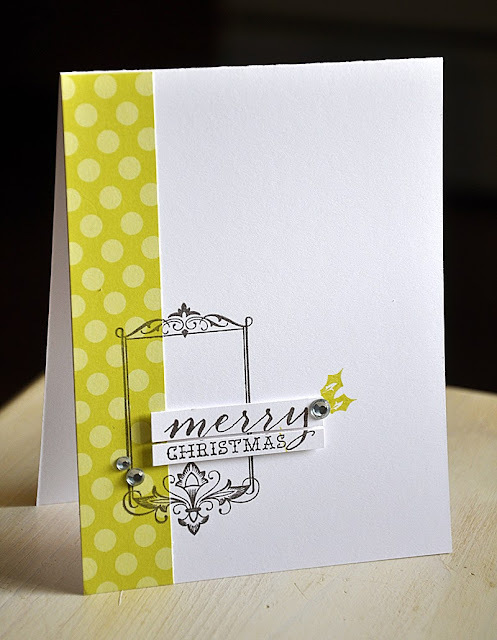 Hello and welcome to the fourth day of the Papertrey Ink September countdown and the first Design Team group post! Today's group post is all about showcasing the new Two Feet Deep stamp set and the Fancy Flakes die collection. 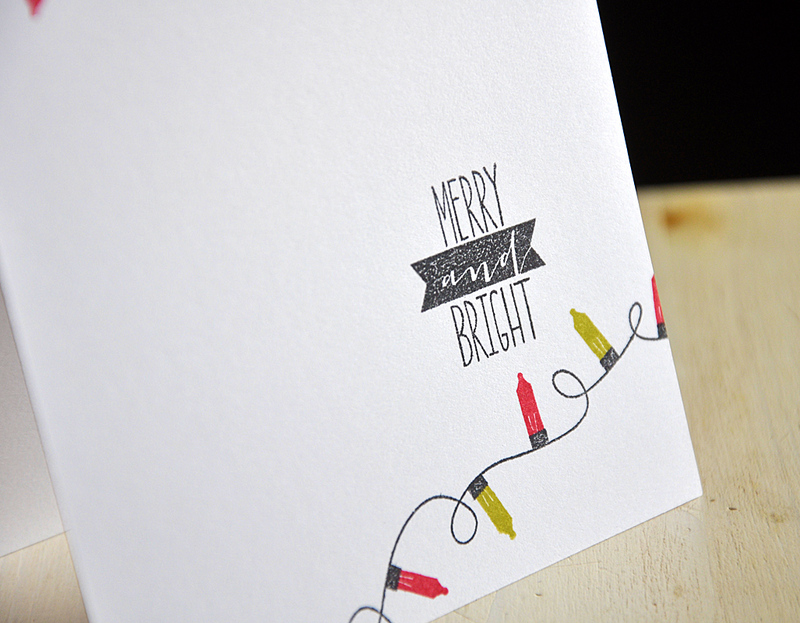 This combination comes just in time for the holiday season! A stamp set as beautifully designed as this one is sure to be treasured! 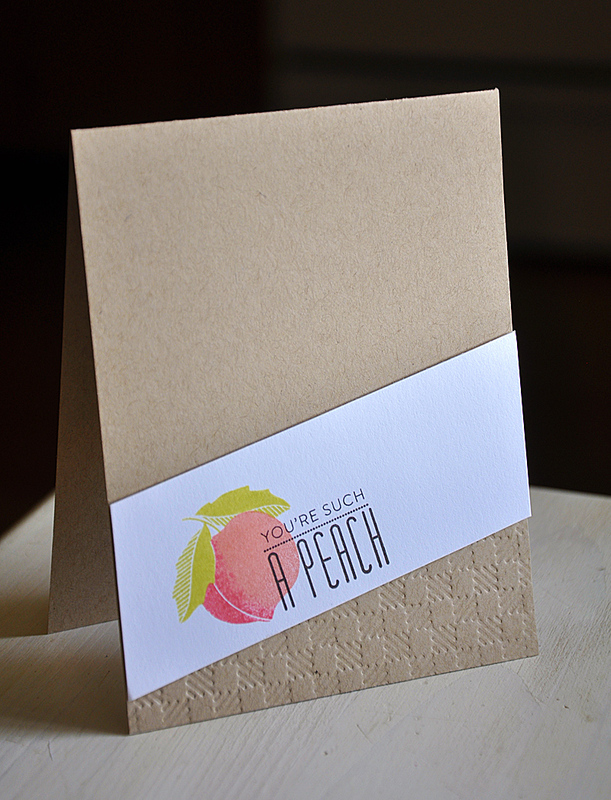 I just love how easy it is to make a big impact with such a simple card or tag. These carefully detailed image truly shine and will be loved by you as well as those who receive your heartfelt projects and cards. First up the card. Simple, but these detailed images make this a striking design. And of course I just had to incorporate a little bit of Grand Ampersand into this design. I simply chose a sentiment that already features an ampersand, cut it out and replaced it with this larger one. 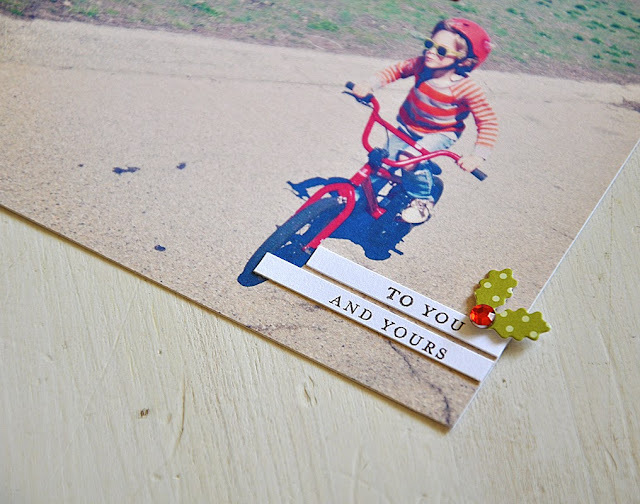 Plus, I just love how sentiments look when cut into pieces. Two Feet Deep is perfect for tags too! 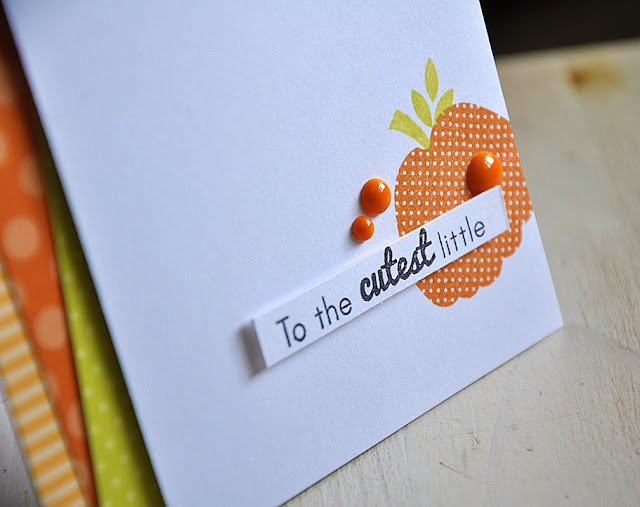 I love how the largest Fancy Flakes die looks when turned into a tag like I've done here. 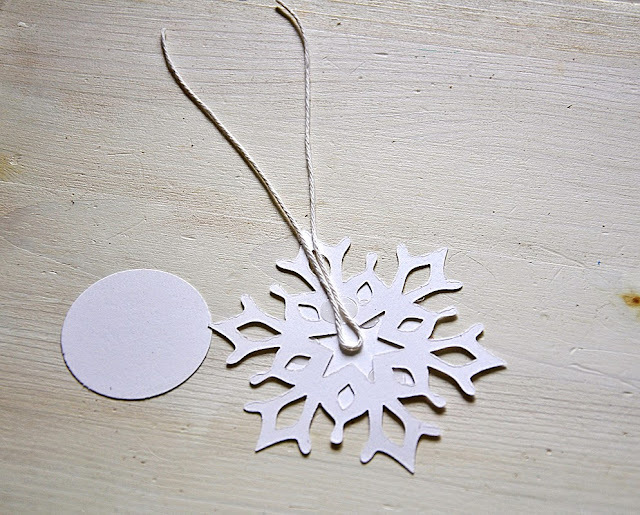 Here's How: I die cut one snowflake and two circles. Attached one circle directly to the front. Onto the backside, I attached some twine before I covered it with the second circle. Then turn over and embellish! This give you the option to add a "to" and "from" on the back. 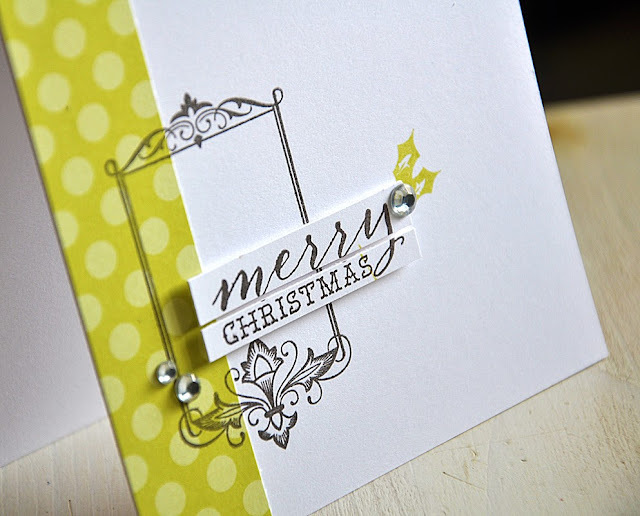 Here's a close up shot of the layering I've don't to top this simple tag. 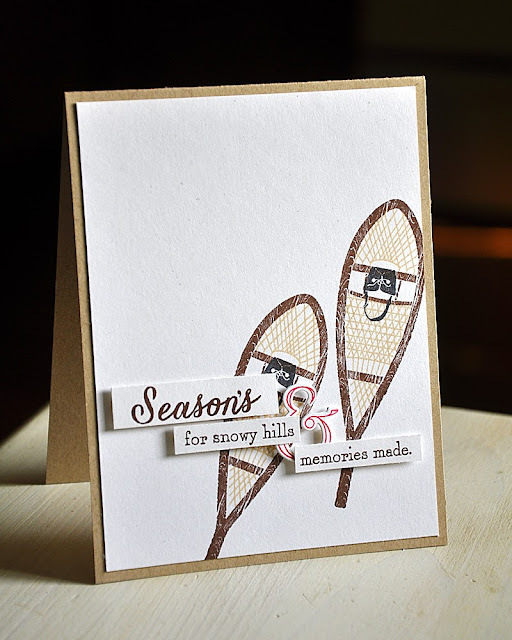 A couple snow shoes and a pine bough, finished up with a sentiment strip. Now, let me move onto some more Grand Ampersand. This time I've paired it with the fun previously released Holiday Lights stamp set. 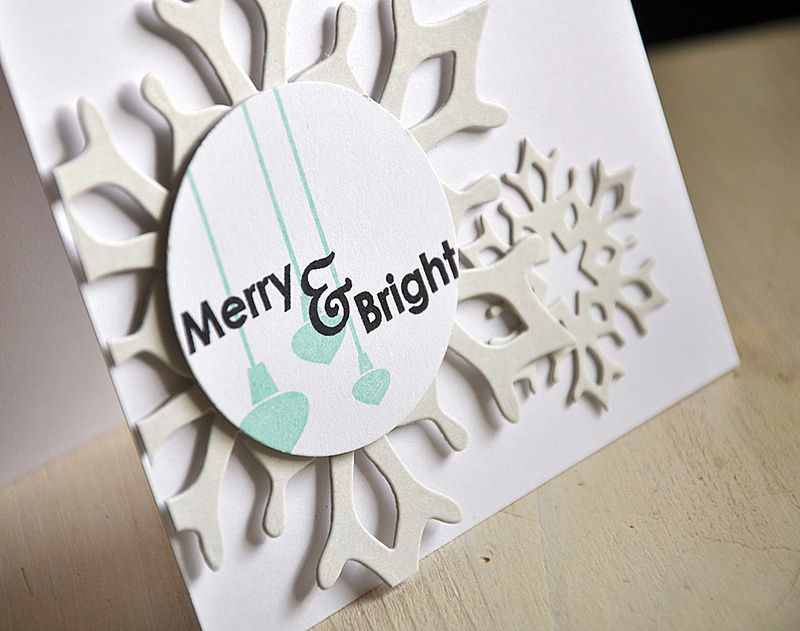 Three pieces from the Grand Ampersand set are featured here... "merry", "bright" and the "and" banner (isn't it cute?!). Last but not least... Holiday Cheer! 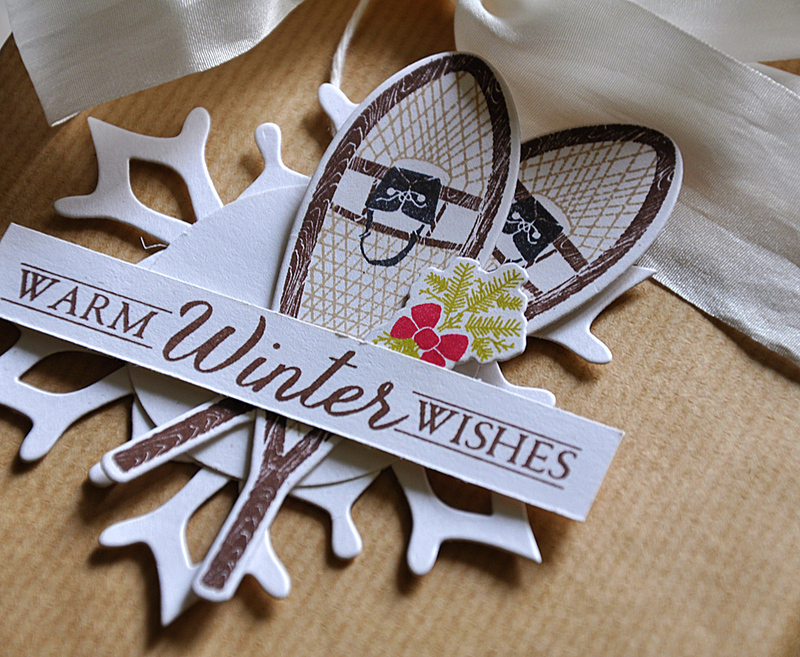 And of course, I couldn't resist using the Fancy Flakes again. 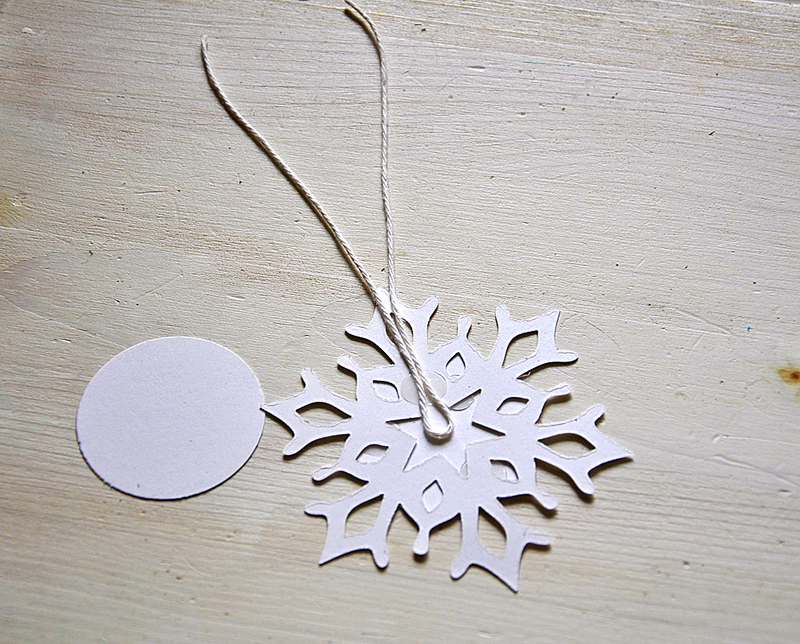 I die cut the snowflakes from soft stone cardstock. 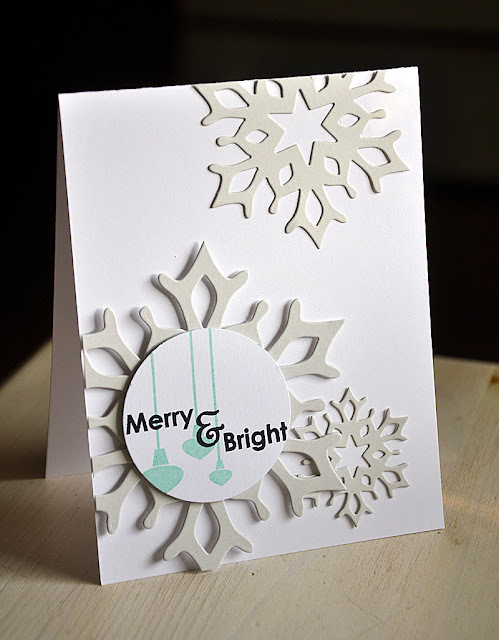 The largest snowflake was topped with a 2" circle, which I stamped with the hanging ornaments and a sentiment from the Holiday Cheer stamp set. Well, that concludes my look at Two Feet Deep, Grand Ampersand and Holiday Cheer. Just remember... these stamp sets (along with the dies) will be available for purchase through Papertrey Ink, beginning September 15th. Hi there! 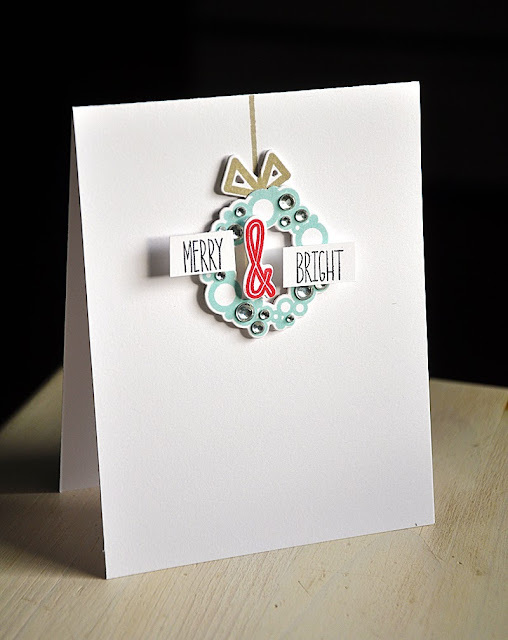 Just popping in quickly for day three of the Papertrey Ink countdown to share a few more samples using the latest addition to my Stamping Simply lineup... Holiday Cheer and Grand Ampersand. I've combined both sets to come up with a simple one-layer card set. This simple design could easily be mass produced in a short amount of time, making them ideal for this years Christmas cards. 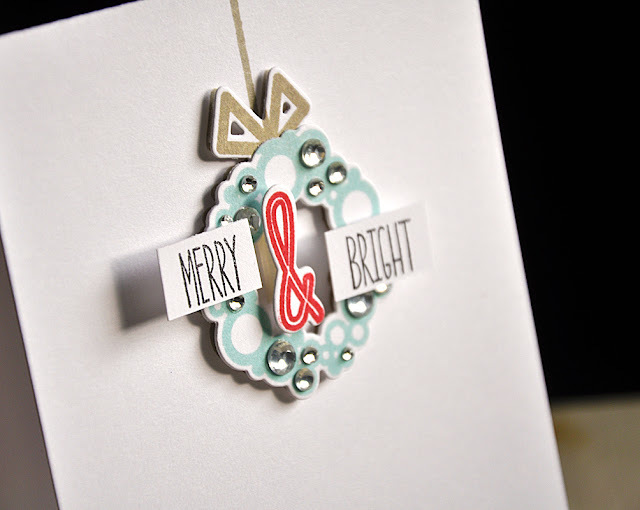 The wreath from the Holiday Cheer stamp set takes center stage. I simply stamped it in a soft gray color, layered a red ampersand and then completed the card with the sentiments. 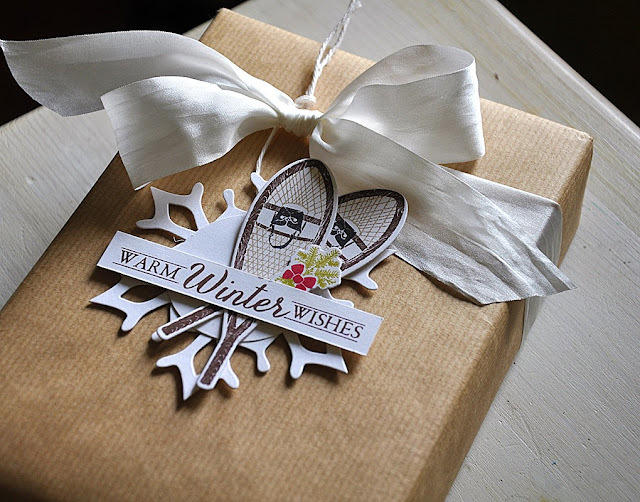 The second card features an aqua wreath. 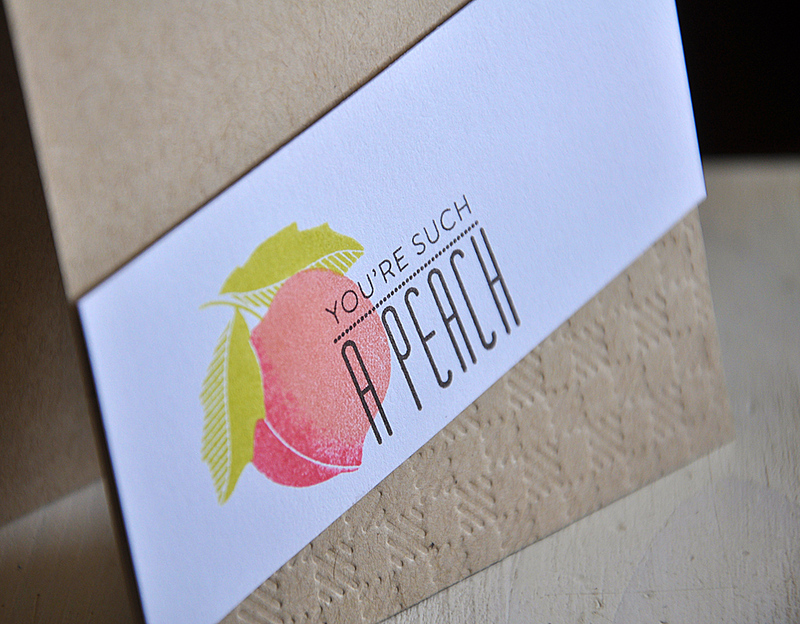 Keep in mind that this design could easily be stamped in any color combo your little heart desires! Now, to step it up a notch. This final card features the same images and design as above, but this time includes a bit more detail, dimension and embellishment. Yet it's still pretty easy to recreate. 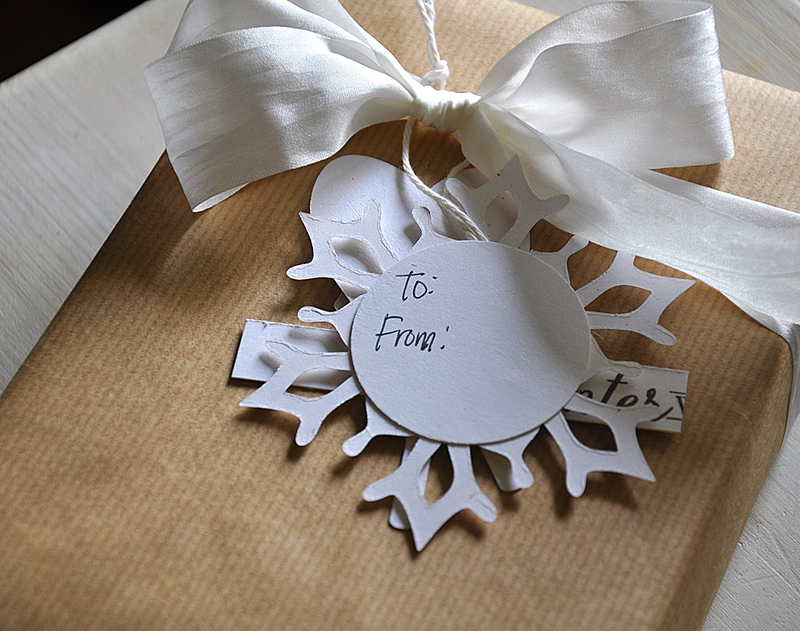 It all begins with the die cut wreath. Just A Note: Two dies coordinate with this one image, one includes the bow and the other does not. It's a quick way to achieve a two toned look with out the need to cut anything by hand. 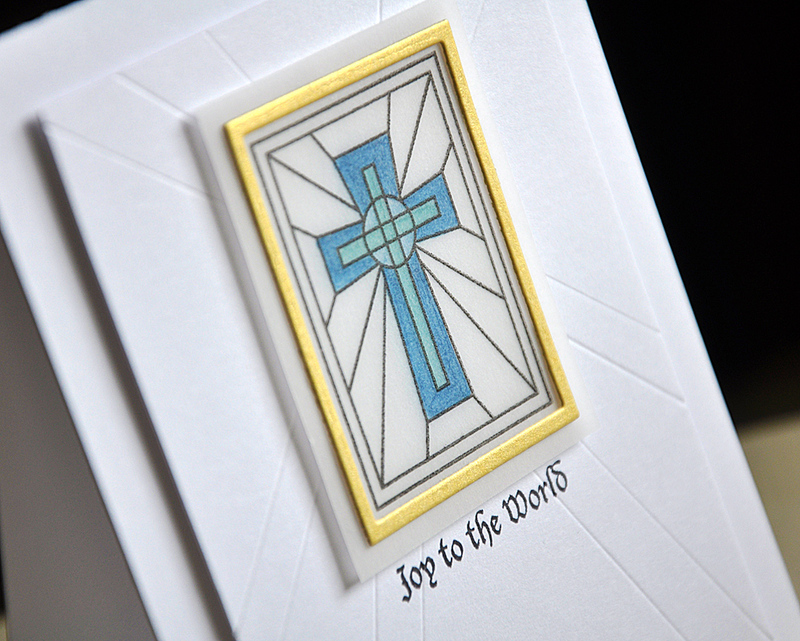 Simply die cut both shapes, stamp in desired colors, layer one on top of the other and embellish. Here I've used about four different sized clear rhinestones to embellish with, they fit perfectly within the circles. I then finished the card off with an ampersand, "Merry" and "Bright", all from the Grand Ampersand stamp set. 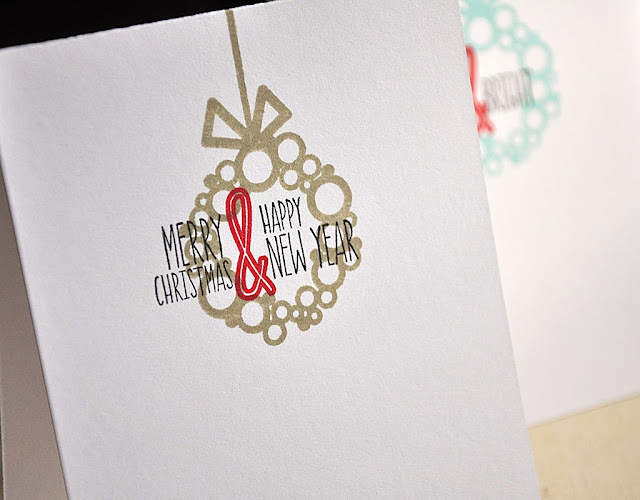 Well, that concludes today's look at Holiday Cheer and Grand Ampersand. 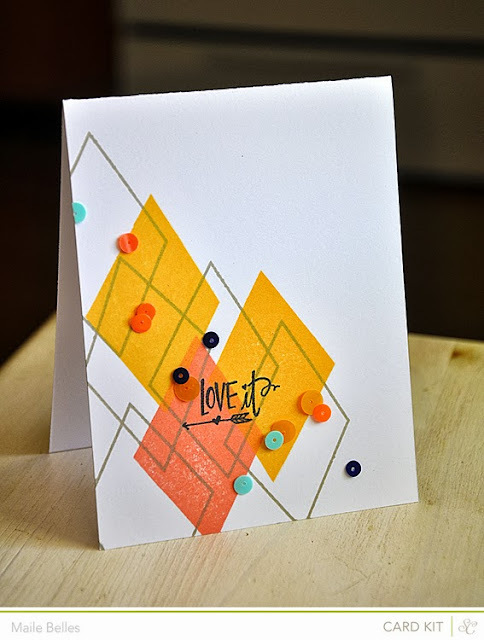 Just remember... these stamp sets and coordinating dies will be available for purchase through Papertrey Ink, beginning September 15th. In the mean time, I'd love to know what you think, so please feel free to share! Now, be sure to visit Nichole Heady and Danielle Flanders for new peeks. Also, Heather Nichols, Dawn McVey, Melissa Bickford, Erin Lincoln, Lexi Daly and Lizzie Jones have peeks to share with you of their newest sets for the month.